I can't believe a year has passed already! Time just flew by. It is so much fun watching these little ones grow. They are just absolutely adorable! Payton & Liam were born on the same day as my nephew, Wayne! It was perfect, cause while we were at the hospital with my sister, we got to visit with our amazing neighbor friends too. 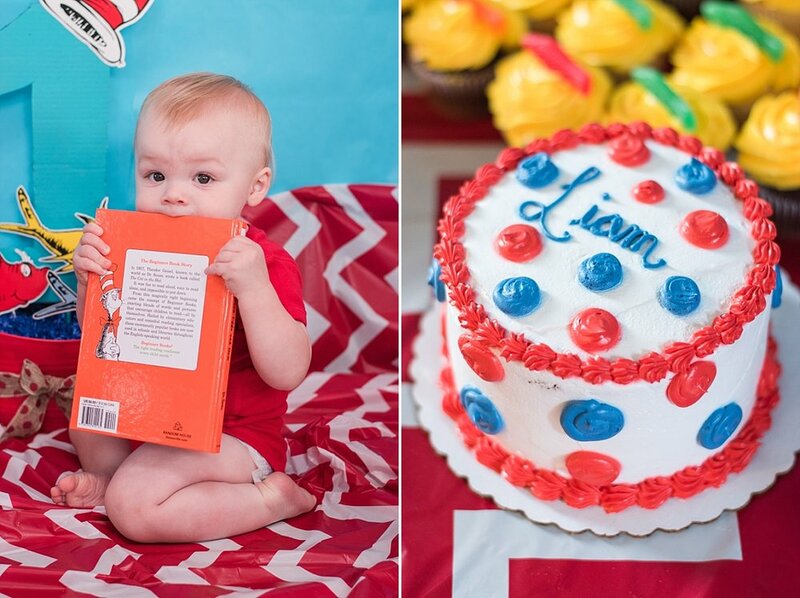 Ashley totally outdid herself with the boys 1st birthday party! 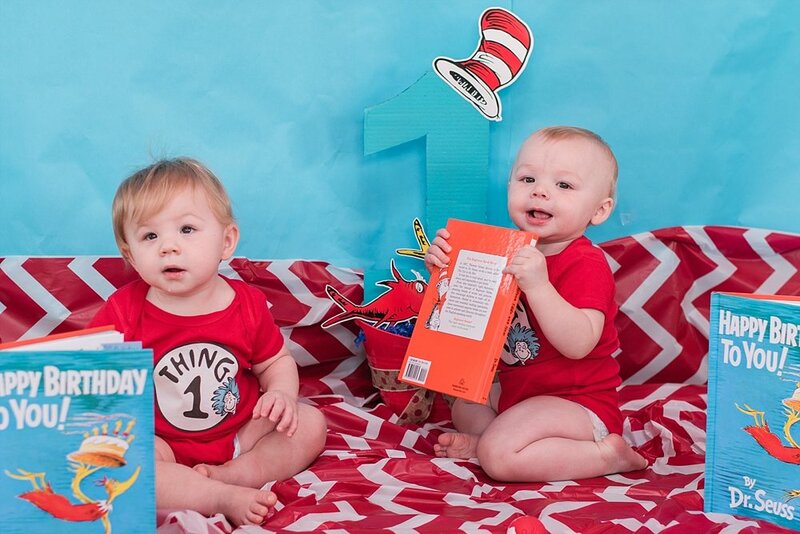 The whole theme was (as you can tell by the pictures) Dr. Seuss! She did a fabulous job. And they rented a bounce house too which kept the older kiddos occupied. You all should've seen the pile of gifts around these two when it was time to open presents. They are sooo loved! 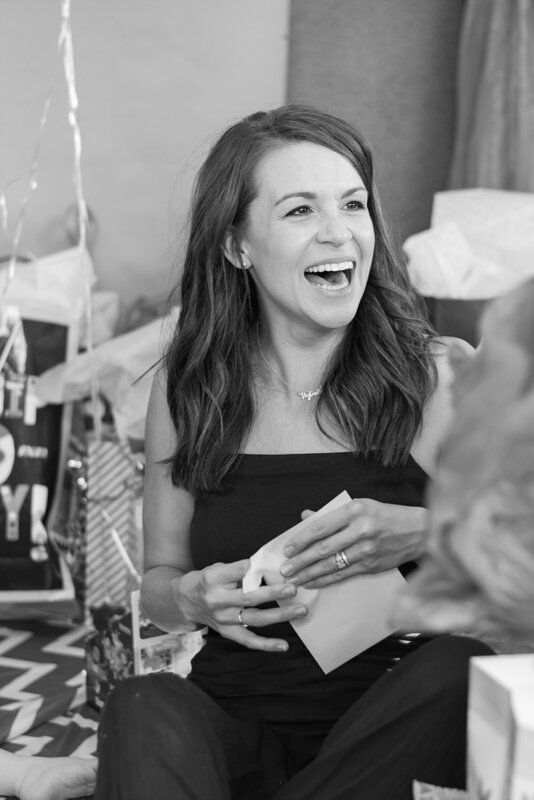 I had so much fun watching them open presents! They were the cutest. 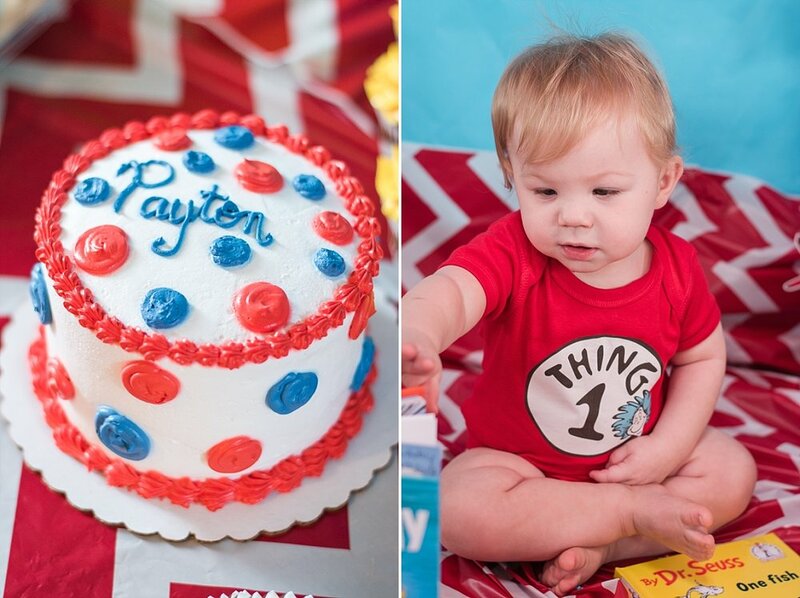 Happy 1st birthday Payton & Liam! Aren't they the cutest family! I just love these guys!!! There we go!!! Now we have a cake face! Thanks momma! Haha! Momma and her boys! So precious! And they're off! 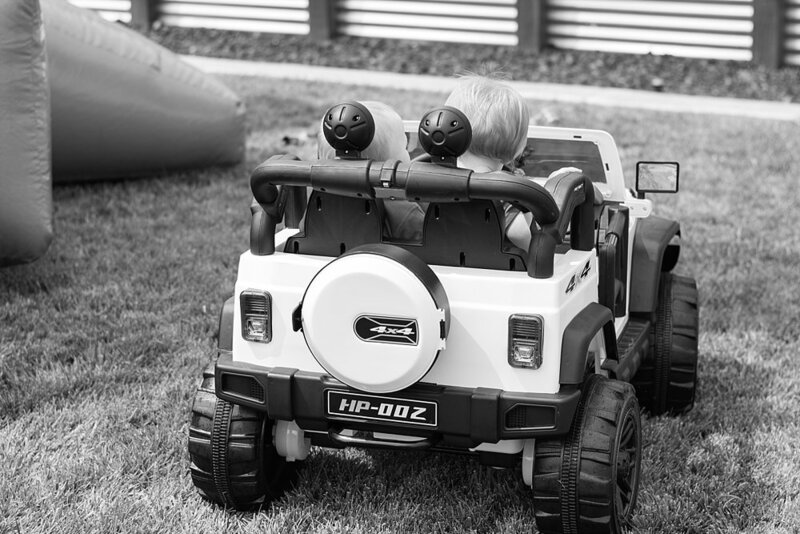 In their brand new Jeep!!! Go-Boys-Go!! !